When you vacate a rented property you need a professional cleaning company to complete the end of tenancy cleaning. You need to leave the space clean for the new tenant who will rent the property after you. We provide end of tenancy cleaning to landlords, tenants and estate agents. Our team of domestic cleaners is experienced and equipped with eco-friendly cleaning materials and advanced equipment to carry out the job professionally. We promise you a completely clean and hygienic property. We also offer customized service for landlords, estate agents and tenants. You can also inform us in advance about any specific list of service that your landlord or estate agent has informed you. We offer professional end of tenancy cleaning service that suits your budget and time. We care for your property and it is safe in our hands. We make sure that we live up to landlord’s or estate agent’s expectation and make every portion of your property sparkling clean, sanitized and presentable. Our cleaners that deal with end of tenancy cleaning job are trained to meet the standards of estate agents in a fast, timely and efficient manner. Our end of tenancy cleaners are courteous, polite and friendly and carry out the cleaning job perfectly. Kitchen: We offer service for cleaning cupboards, fridge, freezer, tiles, kitchen appliances, oven, floors, windows, dusting the skirting’s, light fittings, washing machine, dishwasher and drawer. Bathroom: We clean shower screen, floor, bath, toilet, shower head, fittings, fixtures, cupboards, mirrors, light fittings and windows. 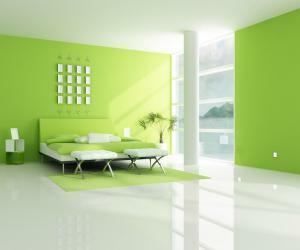 Bedroom: We clean windows, cupboards, fittings, bed, carpets, mirrors, skirting and wardrobes. Lounge: We clean the doors, windows, wipe and dust light fittings, vacuum and clean sofas and chairs by moving cushions as well. We also clean television, mirrors, pictures and skirting boards. We offer cleaning service for hallways and stairs as well. We help you clean the property perfectly when you leave and save your deposit. We constantly work on improving and developing our system and maintain our standards. 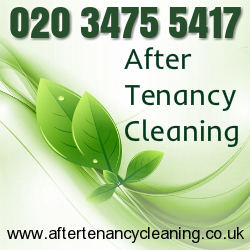 Do call us to avail our end of tenancy cleaning service and we are available 7 days a week for your convenience. Do you want to get your deposited money back before leaving the rented accommodation? Then just ask people that have used our services before. You will hear the bias opinion of our clients regarding the reputation of our company, which I can boldly say that is impeccable. Consider hiring us and you and your landlord will be left with greater satisfaction. You can find us in Acton and different areas of London. Keep in mind that moving out cleaning is the only service that has warranty of two days and if your landlord doesn’t like the results we can come and clean the place.